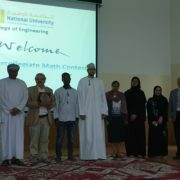 HALBAN The GUtech Maths Team has won the first prize in the Intercollegiate Maths Contest held at the National University in Muscat yesterday. 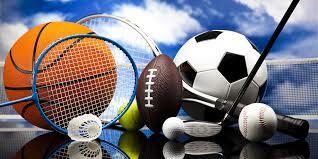 “We are proud of the students’ achievement and would like to thank everybody who contributed. Special thanks to Mr RK, Dr. Yathrib Ajaj and Mr. Ahmed Al Salmi,” said Prof. Bernhard Heim Dean of the Faculty of Science, who coached the winning team. More than 20 teams applied for the competition and ten teams qualified for the final contest, including teams from Nizwa, Sohar and Muscat. The winning GUtech Maths team consists of students from different academic departments including GUbridge: Shadhan Alrashdi, Loay Al Lawati, Ahmed Abdulla, Fatma El Sheibany, Shifa Al Hussaini. The Department of Mathematics and Sciences (MAS) at GUtech has introduced an innovative, student-focused learning technique, entitled Kaizen, usually used in the industry. Prof. Dr. Bernhard Heim, Head of the MAS Department and Dean of the Faculty of Science recently published along with colleagues from GUtech and RWTH Aachen Germany a paper entitled “Driving student-centered calculus: results of a comprehensive case study for Kaizen learning in the Sultanate of Oman”. The Kaizen method can be applied in large mathematics lectures for Engineering, Geosciences, Computer Sciences students. Prof Bernhard was also awarded with the GUtech Ibn Al Haytham Teaching Award 2016. “Kaizen is a teaching philosophy that is based on short learning units with many feedback loops and continuous testing of the students’ knowledge,” said Prof. Bernhard who has been teaching at GUtech since 2009. 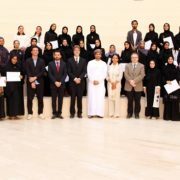 “We introduced the teaching method around two years ago and we were glad to receive overwhelmingly positive feedback from our Omani and international students. As a result, the attendance in class has increased to more than 85% since the induction of Kaizen at GUtech,” said Prof. Bernhard while adding that classical forms of memorizing and teaching in front of the students are not applicable anymore. Nowadays students expect the use of multi-media tools, which is a big advantage to enhance the students self-motivation and self-studies. “To overcome the usually used memorizing techniques in our Engineering classes where we teach Mathematics for Engineering the student needs a progression from pure calculus to mathematics, which requires analytical and geometrical skills,” said Prof. Bernhard. To reach high success rates, the Kaizen technique focuses on the continuous human-human interaction between professor and student as well as between assistants and students. Moreover, clearly communicated expectations, avoidance of a short-term learning attitude, a strict no-calculator policy and a balanced combination of traditional teaching and e-learning techniques, through mobile applications or advanced tailored e-learning management software. The e-learning software provides weekly exercises for students. In addition, the students have continuous support by GUtech academic staff who act as mentors and help understand the various assignments. “Such a sustainable learning process through Kaizen guarantees that students are well prepared for their final exams,” said Prof. Bernhard. Moreover, the strict “no calculator policy” in the classroom ensures that students realize that mathematics is about structures, to obtain a result pattern. The balanced use of traditional teaching and e-learning, so called blended learning, e.g. through the use of short videos, it ensures a high student motivation and enfolds its full potential when integrated within the science or mathematics course. In the context of exchanging ideas about teaching, the GUtech Department of MAS has been organizing regular teaching seminars at lunch time, the schedule can be requested from the department. On the 14th of December 2016 the Rector Prof. Dr-ing. 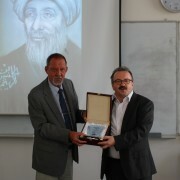 Modigell awarded Prof. Dr. Heim with the 1st ibn Al Haytham teaching award of GUtech’s Faculty of Science. The German University of Technology went through a series of major changes recently affecting its student numbers and lecture structures. Due to the increase in class size the classic interactive teaching method did not work satisfactory anymore. Prof. Dr. Bernhard Heim took that challenge and in an ideal way he restructured his courses to accommodate the requirements top level teaching faces. This new teaching style become known as Kaizen Teaching and is well documented in two publications. In his lectures since then he did not only include pedagogic student centric elements (application of Kolb’s learning cycle, cybernetic testing and student activation) but made perfect use of modern electronic devices like the learning platforms video clips, electronic shot tests during lectures and tutorials, and clicker systems, like the Aachen App. These activities soon found their way to the local and international news and were explicitly mentioned in the RWTH Aachen press bulletins. 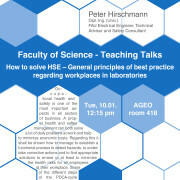 Prof. Dr. Bernhard Heim has to an excellent degree proven his capacity as an academic teacher and multiplier of student targeted best practice teaching techniques in ways every university can be proud of.